I have argued on this site that the Congressional Black Caucus needs to take a more aggressive approach in Congress to fight back. Maybe these guys are listening? The New Jim Crow implemented since the Bushit stole office has been focused on “disparate impact”. Ergo, attacking those elements of the economy, and government policy which disproportionally favor minorities. An example of this is that more minorities tend to work for the Government than private industry due to historical and ongoing discrimination in the private workplace. So privatization of Government work results in transforming a Government workforce which is 40% Minority, to a privatized workforce which is less than 10% minority. The net result of this is a 54% drop in net wealth in black families, compared to an 18% drop in white families net wealth. Almost across the board, the Tea Baggers have pushed policies which exacerbate the impact of the economic recession in minority communities. Essentially the Old Jim Crow, dressed up in a suit and tie. Rep. Andre Carson (D-Ind. ), the CBC whip, told attendees at the CBC’s Job Tour visit to Miami that the Tea Party is actively taking steps to keep down the black community and other vulnerable populations. An audio and partial video of Carson making the remarks first surfaced on Tuesday on Glenn Beck’s website, The Blaze. When contacted by The Huffington Post, Carson’s office confirmed them and didn’t back down, saying they were in response to frustrations felt by many around the country regarding Congress’ inability to boost the economy. “The Tea Party is protecting its millionaire and oil company friends while gutting critical services that they know protect the livelihood of African-Americans, as well as Latinos and other disadvantaged minorities,” Carson spokesman Jason Tomcsi said in a statement. This one from Truthout – Hat Tip! As I have reported here in The New Jim Crow series – the New Jim Crow impacts nearly every aspect of life for minorities in America, starting with access to education, credit, the ability to start business and conduct commerce, through access to jobs. 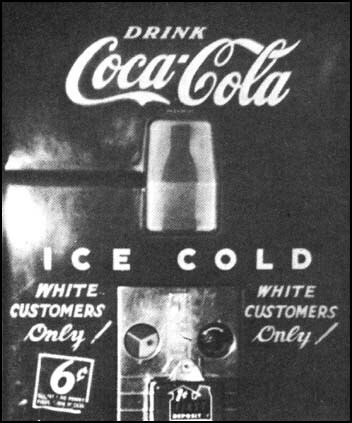 The New Jim Crow, Ubiquitous and Masked as "Culture Wars"